Posting the scheme of the London, as promised, bigger version here. There are 48 seats for prisoners (i.e. 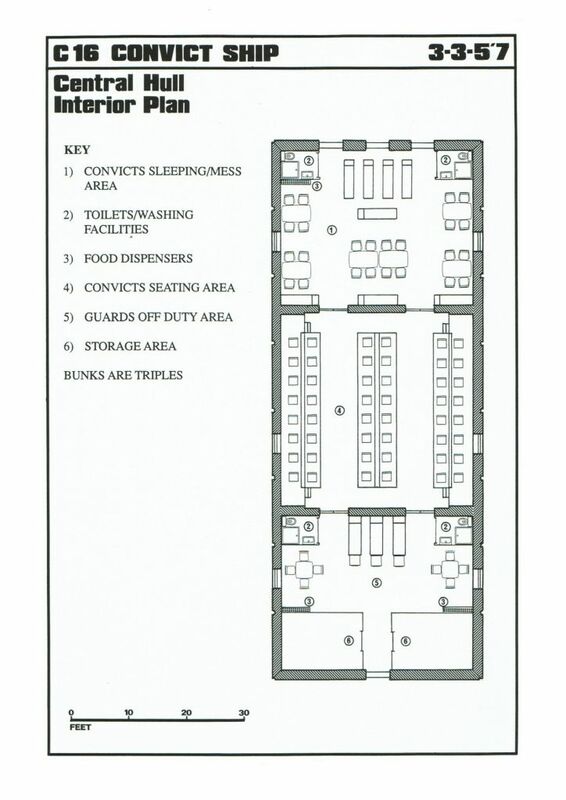 48 prisoners), and 8 3-level bunks, i.e. 24 sleeping places. Meaning prisoners would have to swap bunks half-and-half, i.e. sleep in turns. For the crew there are 3 3-level bunks, meaning there was 9 crew? 5 died according to Leylan's report (Raiker + 3 people dead because of Liberator, 1 more killed by the prisoners, probably). Meaning it's 4 of the crew left at Cygnus Alpha. Washrooms are shown with a toilet, a shower and a sink. Nothing about washing clothes but maybe dry-clean machine is built into a wall: you push the clothes in the slot and then take them out. A dose of Avon would have made you better or would you prefer something a bit more gingery? I'll leave the ginger for my tea! LOL There also has been an update. Now both Brad and myself have the FLU! Don't ask! It isn't a pleasant thing! Thanks for the funny post, it made me smile! And look on the bright side. You're doing better than poor Nova.